There is not a single form of medicine that does not confuse the physical body with the phenomenal body. The physical body is the human body perceived as an external object in space. The phenomenal body is the human body as an embodied self. It is the ‘lived’ body – the body as we experience it subjectively. an inner field – our inner awareness of our own bodies. an outer field – our bodily awareness of the world around us. The clinical body is the physical body turned into an object of clinical examination and measurement. But no amount of ‘internal’ examination, measurements or scans of the physical body can reveal in any way whatsoever the real ‘inner body’ – our phenomenal body. The phenomenal body is not a body of flesh and blood but a body of awareness. The unified field of awareness that constitutes the phenomenal body embraces both our awareness of our own bodies and our awareness of all other bodies in our physical environment. The physical body, as it appears to us objectively, is bounded in space and time. The only boundaries of the phenomenal body are the boundaries of our inner and outer awareness as human beings. In German there are two words for the body: Körper and Leib (related to Leben – ‘life’). Heidegger used these two words to distinguish respectively the physical body on the one hand and the phenomenal body – the experienced or ‘lived body’ – on the other. By this he meant that our awareness of our own bodies and of other bodies in our environment are not separate. Our bodily awareness of other bodies around us – whether physical objects or people – forms part of our awareness of our own bodies and vice versa. The human body as organism is neither the physical body nor the phenomenal body. It is the living interface or dynamic boundary between the inner and outer fields of the phenomenal or lived body, between our inner awareness of our own bodies and our sensory awareness of other bodies in our environment. The physical body or soma is the physically perceived exteriority of the organism – the organism as perceived from without. What we call the psyche is the non-physical or subjective interiority of the organism – the organism as experienced from within. The human being has a sixth field – a mind field. Both brain and skin are formed from the outermost layer of the embryo – the ectoderm. What Winnicott called the ‘mind-psyche’ is the field of awareness linking sensations stemming from the outer, somatic surface of the organism with the inner surface of mind – the insideness of thought. According to Winnicott, healthy psychological development depends on the experience of psychosomatic “indwelling” – the sense of dwelling within the psychic interiority of the organism or “psyche-soma”. In disturbed development, on the other hand, the individual identifies with the “mind-psyche” and experiences themselves as an outside without an inside, as a mind and body but not as an embodied soul. Their insideness is experienced only as an insideness of the ‘mind-psyche’ – of a mental surface or ‘ego-skin’ (Anzieu) which in turn merely reflects the sensory and somatic surface of the organism. The human organism is the body experienced as an ensouled body and an embodied soul – a bodily self. The psychic interiority of the organism is not bounded by its physical exteriority nor even by the horizon or circumference of the outer field of sensory awareness. The insideness of the body surrounds and contains its outsideness. It is this outsideness turned ‘outside-in’. Conversely it is an insideness that turns ‘inside out’, linking the organism inwardly with entities in its environmental field. The organism’s outer field links it outwardly with entities in its environmental field, allowing them to manifest externally as phenomena within its own field of sensory awareness. The organism’s inner field links it inwardly with entities in its environmental field – with the inwardness of the phenomena that manifest in its outer field. In the past, the soul or psyche was understood as the insideness or withinness of the body – its subjectively experienced interiority. The physical body was understood as the outer ‘garment’ of the soul, its outwardly perceived or ‘phenomenal’ form. 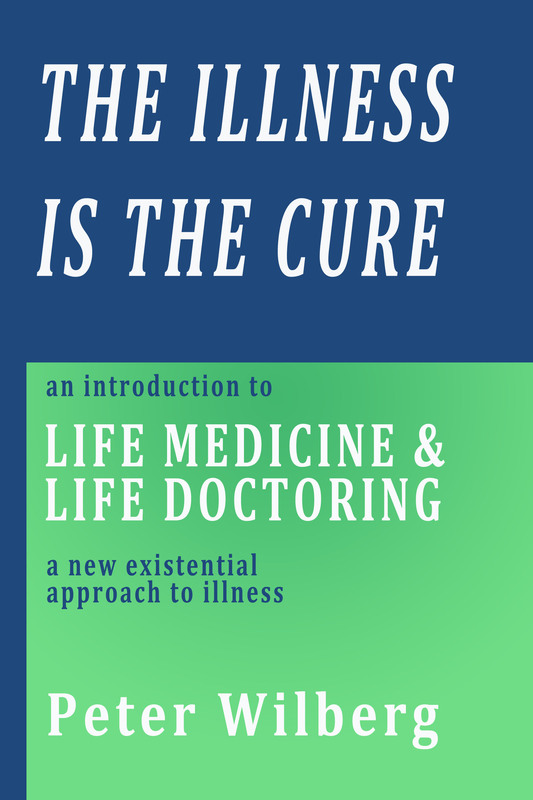 Today medical science totally ignores the soul – the aware psychic or subjective interiority of the body – confusing it with the body’s physical interiority, its organs and organic functions. As a result, the nature of conscious awareness is itself mystified – seen as something mysteriously produced by the physical body and mysteriously located in one of its organs – the brain. The dualism of mind and body comes from reducing the soul to a mind that is physically located in the brain – no longer understanding the soul as our subjectively experienced body. If we go back to the ancient Greeks as Homer described, we find, according to Julian Jaynes, that the Greek words psyche and soma did not mean what they do today. The word soma referred not to the living body but to a devitalised corpse. The word psyche did not refer to an indwelling soul or subjective insideness of the body. It meant simply the vitality or “vital breath” that kept it alive and was exhaled at death. The ‘self’ was not thought of as a body, as a soul or as a combination of the two – indeed there was no word for the self as such and as a whole – or even for the living body as a whole. From their way of speaking we can deduce that the Greeks as Homer described them did not experience themselves as souls dwelling in their bodies – their experience was pre-psychological. What impelled their speech and actions was not an ego or “I” or the inner voice of a ‘self’ but hallucinated visions or voices of the gods on the one hand, and organismic sensations on the other. Different types of ‘internal’ organismic sensation were treated, like the gods, as autonomous entities and experienced at the same time as external sense organs. Their names were thumos, phrenes, kradia and etor. Only gradually did the Greeks begin to experience organismic sensation as something occurring ‘within’ a subjective inner space. Only then however, was it possible for the word psyche to be used in a new way – to describe the body’s subjective interiority as such, and as a whole, and identified with the self rather than the gods. The sensation of energetic arousal seen now as adrenal activation of the sympathetic nervous system. Respiratory sensation connected with speaking, sobbing, catching or holding one’s breath, or taking deep breaths. A sense of quivering or pulsation coming from the heart but not yet identified with the heart. Gastro-intestinal or ‘gut’ sensation and experience of loosening or contraction of the bowels. The different organismic sensations and senses described in the Iliad cannot be reduced to purely physiological sensations. They were not only pre-psychological but pre-physiological in nature. The kradia, for example, was not experienced by the Greeks as the quivering or pulsation of the heart but vice versa, this quivering or pulsation was experienced as the Kradia. Initially “it could be seen with the eye and felt with the hand externally” (Jaynes). Later it became a quivering response to external situations. The organismic senses – thumos, phrenes, kradia and etor – were described in the Iliad as containers into which the gods could ‘place’ or ‘put’ strength, vigour or boldness or different emotions. Organismic experience was not emotional self-experience. It was a container for impulses and emotions placed in the entities by the gods. The early Greeks experienced external events as the visible and audible manifestations of the gods. They experienced their bodies as a divided organism, whose parts were under the influence of different gods. They experienced their own autonomic functions as an instrument or ‘organon’ of the gods (the root meaning of the term organism). They experienced emotions as e-motion: god-given impulses to outward motion, action and speech. They experienced their own autonomic ‘responses’ as autonomic senses, prompting them to respond to outer events according to the whims of the gods. Both in their own terms and in ours they were schizo-phrenic; hearing voices and hallucinating visions of the gods, and experiencing their own phrenes as divided or split (schizein). Over the centuries, Greek words such as ‘psyche’ (vitality or vital breath) and ‘soma’ (corpse) have been progressively retranslated. The early Greeks’ experience of the ‘thumus’ has been translated into a medical term for a part of the physical body – the ‘thymus’ gland. Their experience of ‘phrenes’ – the breathing organism – is now translated merely as ‘mind’ (as in ‘schizophrenia’) and retains its original sense only in the word ‘phrenetic’. The Greek experience of ‘kradia’ has now become the medical ‘cardiac’, referring only to a physical organ and not to the organismic experience of quivering and pulsating anxiety. The Greek word organon, originally meaning the ‘instrument’ of a being or beings, has now evolved into a general term for biological ‘organisms’. The term ‘pathology’ has placed a negative medical connotation on the primary Greek experience of ‘pathos’ – being emotionally affected and moved to act or speak. Psychology as we know it began in the fifth century BC, as the word ‘psyche’ began to denote the subjectively experienced interiority of the body. The founder of ‘psychology’ was the Greek sage Heraclitus, the first to conjoin the terms ‘psyche’ and ‘logos’. For Heraclitus the ‘logos’ of the psyche was not its outward expression in ‘logic’, ‘speech’, but its deep inner reverberations – its resonance with the logos – the inner order of the cosmos. Heraclitus understood the psyche not as a bounded thing but as an inwardly unbounded realm, a bottomless ‘field’ of inner awareness. The psychic interiority of the organism is an ‘inwardness’ never exhausted by its outward flow of expression in word and deed, thought and emotion. The experienced psychic ‘interiority’ of the organism is not a spatial interiority but a pre-spatial one, comparable to our felt sense of the ‘inwardness’ of the word, its inner breadth and depth, density and intensity of meaning. Felt sense is precisely that – not felt sensation but felt sense, felt significance or intent. Its spatial character is not extensional but intensional and intentional, made up by felt intensities of meaning or intent. The inner field of the psyche is a “potential space” (Winnicott), a space of potential phenomena – potential sensation and potential emotion, potential thought and potential speech, potential action and potential movement. The words tense and tension, intensity and extensity, tend, intend, attend, tone, tune and attunement all come from the Greek teinein and the Latin tendere -to ‘stretch’ or ‘span’. The inner field of awareness of the organism is composed of meaningful felt intensities or ‘tones’ of being – feeling tones. Just as speech, song and music are composed of patterned modulations of vocal or instrumental tones, so is the psyche made up of patterns of inner tonality, comparable to musical scores. Intention is a type of inward ‘intonation’ – a modulation of feeling tone which is also an attunement to potential patterns of inner tonality or feeling tone – to an inner ‘music’ of the soul. The organism is the musical instrument or organon which translates the inner music of the soul – patterns of inner tonality or ‘feeling tone’ into patterns of muscle tension or tonus and thus into vocal tones. Felt intent is a felt attunement to these patterns or ‘scores’. Felt sense is a felt resonance with these patterns. The organism is the instrument with which felt sense and felt intent – psychic meaning and intentionality – is embodied and expressed, translated into patterns of muscular in-tensionality and thence into patterns of speech and movement, motor and mental patterns, vocal and verbal patterns. Feeling tones are not emotions but felt intensities of being, each with their own unique quality or moodedness. They are also wavelengths of attunement to other beings. As such they are a primary medium of empathic resonance. But they are also telepathic carrier waves of organising informational patterns or morphic fields. Just as verbal messages ride on modulations of our voice and vocal tone, so do subliminal, telepathic messages ride on modulations of feeling tone – on the wavelengths of attunement linking us to others. Telepathic communication is not essentially ‘thought transmission’ but the direct communication of intent, mediated by feeling tone. Feeling tones telepathically bear across patterns of significance or meaning in the same way that music does. The sounds our bodies utter when we speak are the echo of inner organismic sounds with which we ‘utter’ or ‘speak’ our bodies themselves. Just as speech sounds are shapings or ‘envelopes’ of vocal tones, so are organismic sounds shapings or envelopes of silent feeling tones. Organismic sounds are three-dimensional envelopes or ‘bodies’ of feeling tone. Conversely, the physical body is the three-dimensional materialisation of organismic sounds, which become manifest in the vibrational patterns of molecules and cells. Every mental and physical state has its own felt tone and timbre, expressing an organismic state with its own characteristic feeling tone and inner sound. Health as ‘soundness’ (Ge-sund-heit) of mind and body is an expression of inner clarity of intent which in turn gives clear shape to organismic feeling tones. The organism as a whole, and not just the body’s vocal organs, is the speech organ of the psyche, giving form to inner feeling tones through muscle and nerve tone, postural tone and the harmony of movement. What Rupert Sheldrake calls morphic resonance is an intrinsic relation of form (Greek morphe) and feeling tone. Every human feeling tone has its own natural bodily form of expression – as a feeling of joy tends naturally to take the form of a smile, for example. When somebody smiles at us the form of their facial expression evokes a sympathetic resonance in our own organism, tending to make us form a similar expression and smile ourselves. The facial expression gives form to a feeling tone and in turn induces a similar feeling tone in others through sympathetic resonance. The induced feeling then takes shape in like form. Morphic resonance is a double and circular relation of form and feeling tone. Expressive form inducing sympathetic resonance. Sympathetic resonance expressing itself in form. The words person, personal, personify etc. derive from the Latin ‘persona‘ – referring to the theatrical masks worn by actors and through which they looked and sounded (per-sonare: to ‘sound through’). A letter is the silent face of a sound or sounds. Similarly, the face is the silent but expressive surface of the human organism, through which it sounds through – and not just when we speak. Facial expressions are comparable to letters, formed expressions of feeling tone each with their own inner sound. In the early pre-verbal communication of mother and child, the mother does not merely mirror her baby’s face or echo its sounds. She attunes to and resonates with the feeling tones they express. With her own mouth and face she helps the baby give formed phonemic and facial expression to these feeling tones, shaping them as simple vowels such as “Aaah” and “Oooh”. The mother’s resonance with her baby, and the expressiveness of her own face and sounds – the range of her facial ‘alphabet’ are crucial in cultivating the baby’s own ability to become a person – to give facial form to organismic feeling tones and allow them to ‘sound through’ as speech sounds. Phenomena manifest as patterned or configured wholes or ‘Gestalts’. These wholes, like a sentence or melody, are irreducible to their parts. The elements of the Gestalt – the pattern or configuration – are not merely elements ‘in’ a certain patterned relation in ‘harmony’ to one another but elements of that relation, defined by their function or fittingness (Greek harmonia) within the whole. To hear a series of words or tones as a sentence or melody requires an attunement to the sentence or melody as a patterned whole or Gestalt – as an organising pattern of significance. Organisms do not ‘sense’ environmental ‘stimuli’ and then ‘respond’ to them – they make sense of stimuli as signs (for example as signs of food or danger). Their environment is made up of organising patterns of significance, patterns which in-form both the organism’s sensory environment itself and its response patterns to the sign patterns of Gestalts it perceives. Understood phenomenologically, ‘life’ is neither a mysterious ‘vital force’ nor is it an equally mysterious product of ‘dead’ matter. It is ‘energy’ in the root sense of the Greek verb energein -a formative activity that literally in-forms all manifest phenomena – including both material and molecular structures and symbolic mental structures. Formative activity gives expression to latent formative potentials – organising patterns of significance which are irreducible to their expression in molecular and mental patterns, bodily and behaviourial patterns. It is these organising patterns or ‘morphic fields’ (Sheldrake) which in-form both living organisms and their environments, both of which are the self-manifestation and self-differentiation of a singular field of interactivity which is a source of unlimited formative potentials and patterns. Life is not ‘governed’ by ‘information’ exchanged between molecules and cells. Rather life is information – the ‘energy’ or ‘activity’ which in-forms those molecules and cells in the first place. Information is not a ‘thing’. It is ‘in-formation’ – the in-formative and transformative activity that constitutes life itself. Darwinism holds that organisms evolve by learning to ‘adapt’ to their environments. But they also adapt their environments to themselves. The relation of organism and environment is a dialectical one. The organism is part of its environment and an expression of it. Conversely, the environment is altered by the organisms which it gives rise to. Each organism forms its own sensory environment (for example the shark whose sensory environment includes electrical fields). The development of organisms goes hand in hand with the development and differentiation of their sensory environments. The differentiation of living organisms manifests as an ‘evolution’ of ever-more differentiated sensory environments and ever-more differentiated responses to those environments – responses which in turn allow them to shape their environment. Evolution is in essence the self-manifestation and self-differentiation of the environment itself – understood as an environment of organisms – an ‘eco-system’ or field of relationships linking organisms with one another and within a common ‘eco-sphere’. Every change in the relation of organism and environment alters both. A ‘diseased’ organism is a manifestation of a disturbance in the relation of organism and environment which disables the organism in relation to its environment. 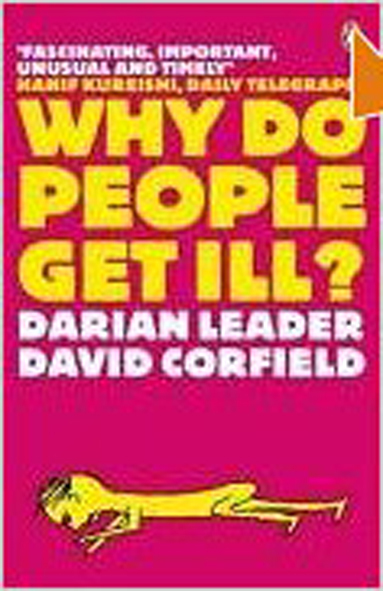 According to Goldstein, every organism, including the human organism dwells in two environments – a ‘positive’ environment or ‘milieu’ which it is capable of responding to and adapting to its own needs, and a ‘negative’ environment that it cannot respond to and adapt to its own needs. 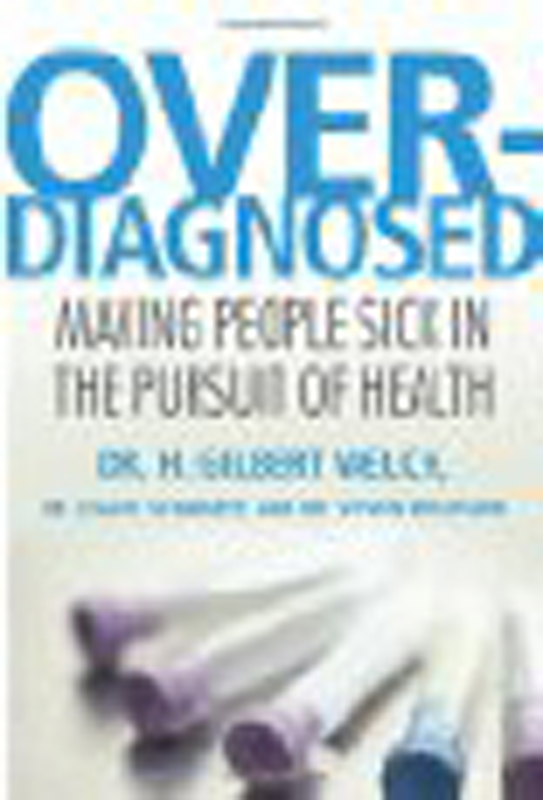 Disease is not the expression of an inborn ‘weakness’ of the organism in adapting to its environment, but an inability to respond to stimuli that intrude into its positive environment or milieu from its negative environment – as a result of which its normal adaptive responses to the former may be disturbed or disabled. The natural response of the organism is to avoid disturbing stimuli from its negative environment and/or to ‘shrink’ its positive environment so that it places less demands on its impaired abilities – and is once again adapted to it. The symptoms of disease are adaptive responses to an altered environment which lead the organism to temporarily or permanently alter or delimit its environment. The term ‘morphogenesis’ refers to the genesis of biological form (Greek morphe). The term ‘bio-logy’ refers to the ‘word’ or ‘speech’ (logos) of life (bios). The process of morphogenesis can be compared to the process of speech formation. In the genesis of an utterance, one word does not ‘grow’ into or become a phrase or sentence. Individual words or lexical units attract other units with which they go together in more complex phrasal and sentence units organised by higher-level linguistic patterns. Similarly, according to the biologist Rupert Sheldrake, the genesis of biological forms is the progressive manifestation of higher-level biological patterns or “morphic fields”. Organisms can be compared to languages. A language makes use of a finite number of letters and sounds, but its organising linguistic patterns can generate an infinite number of sentences or linguistic forms – sentences and texts. The organising patterns of signification that constitute a language cannot be reduced to its linguistic alphabet. Similarly, the organising patterns of signification that make up a living organism cannot be reduced to its biological alphabet and the genetic ‘words’ formed from it. Just as the form of a sentence or text cannot be ‘predicted’ from its constituent letters or words, nor can biological forms be predicted from their genes. The human body is a living biological language of the human organism – its molecular and cellular text. But the author – the human being, is not created by its fleshly text. We can no more find the ’causes’ of illness in the body and its genes that we can find the ’causes’ of poor spelling or sentence construction in the text in which we find them. We can no more predict a person’s health from their genes than we can predict what they will say by knowing their alphabet and vocabulary. We can no more improve a person’s health through gene-therapy than we can improve their writing or speech by altering their alphabet and vocabulary – cutting out ‘bad’ letters in a word or sentence or inserting ‘good’ ones. The meaning of a word can be radically altered by changing one of its letters to another, but its meaning is also dependent on context. Different genetic ‘words’ mean different things in different biological contexts, which shape the way the body ‘reads’ them. Mapping the body’s genetic alphabet can not tell us how the body reads the words or sentences composed from that alphabet. The attempt to locate the genes responsible for particular human diseases or behaviours is recognised by molecular biologists to be fraught with difficulty. It is not recognised to be essentially flawed and futile in principle – equivalent to a hopeless endeavour to find the causes of words and sentences in the letters that compose them. The idea that genes ‘express’ particular proteins is equivalent to believing that letters ‘express’ words. Finding correspondences between the presence or absence of a particular gene with a particular disease or behaviour carries no more ‘causal’ significance than finding that a particular letter always occurs in a particular word, or a particular word is often used in a particular type of sentence. Such evidence says nothing about the contextual meaning of the word or sentences examined. A language can be reduced to a finite set of letters and words but is the source of an infinite variety of complex linguistic forms. Its organising syntactic patterns, however cannot be reduced to their expression in any given form or forms, any finite utterance or set of utterances, any text or corpus of texts. Nor is there any ‘meta-language’ or ‘master language’ that can define these patterns. For the structure of the meta-language itself would merely be one formed and finite expression of the patterns it sought to define. DNA is often compared to a molecular ‘master language’ providing a blueprint for the development of biological forms. But the organising patterns that in-form molecular structures, like those that in-form sentences and their structures, cannot themselves be reduced to their expression in any one master molecule (for example DNA) or master sentence. According to Rupert Sheldrake, all material or “morphic” units are in-formed by organising patterns or “morphic fields” and stabilised by self-resonance with those fields. In the process of biological morphogenesis, individual units such as cells act as “morphic germs”, tuning the organism to higher-level morphic fields that in-form the combination of lower-level units into more complex higher-level ones such as organs. Morphic fields are essentially probabilistic fields – the source of different possible or potential patterns. In the process of morphogenesis, whether of biological or linguistic forms, the manifestation of any one of these patterns weights the probability field in the direction of this pattern. Each word, phrase or sentence formed as we speak implies many other possible or potential words, phrases and sentences. In the genesis of both biological and linguistic forms the organising pattern of every manifest form or morphic unit implies other possible but unmanifest patterns stemming from the same morphic field. The manifestation of a particular pattern weights the field in the direction of that pattern, influencing the form of future morphic units through what Sheldrake calls “formative causation”. Formative causation is not linear or material causation but non-linear or probabilistic causation. In language for example, the fact that a word or phrase has been coined to express a particular meaning does not cause people to use it, but it does make it more likely or ‘probable’ that they will do so. Plato was the first to recognise that form is not in itself anything solid or substantial – anything material. We can compare different tones of red, weigh and measure different chairs or calculate the dimensions of different circles but we cannot pick up, weigh or measure ‘redness’, ’roundness’ or ‘chairness’ as such. When we perceive a colour as red, a shape as circular, a chair as a chair we are not perceiving anything with mass or measure. Plato understood form as eidos – the ‘idea’, ‘look’ or ‘aspect’ of a phenomenon – in other words, the ‘as-spect’ through which it manifests phenomenally as this or as that. But he regarded forms as universal and static ‘ideas’ rather than as dynamic, plastic and probabilistic patterns – the morphic fields which in-form both mental ideas and material objects, both mind and body, language and life. Aristotle distinguished the ‘material cause’ of a thing – the matter of which it was composed from its ‘formal cause’. He also distinguished the immediate cause of something from its ‘final cause’, the end which it served. An architect’s plans are not the immediate or material cause of a building. They are its formal cause. The building’s final use, purpose or function is its final cause or ‘telos‘. Aristotle’s view of living bodies was that they were a combination of form and matter serving their own organised functional capabilities. He defined the ‘soul’ as the organismic life of living bodies, a combination of formal and final causes manifest in their organising functional capabilities or ‘entelechy‘. develop through resonance with the organising patterns or morphic fields of previous organisms of the same type. are stabilised by self-resonance with their own present and past forms or stages of development. are directly affected by changes in the interactive fields linking them with their environment and other organisms (for example perceptual and motor fields, patterns of behavioural interaction and communication etc. directly affect their environment and other organisms through these interactive fields. Organismic awareness is not organismic sensation but what Eugene Gendlin calls felt sense. Felt sense is the organismic awareness of morphic resonance. It is a felt resonance with ‘morphic fields’ – immanent organising patterns or Gestalts. Felt sense is not only a resonance with manifest Gestalts but with as-yet unmanifest, incomplete or ‘pregnant’ Gestalts. Felt sense is not only resonance with the organism’s own morphic fields but those of other organisms and the interactive and perceptual patterns linking it with them. Felt sense precedes and prefigures the phenomenal manifestation of these patterns in the organism’s own bodily and behaviourial patterns, its motor and mental activity. Physics deals with relationships between bodies in space and time. Metaphysics deals with relationships between beings. The human organism is the pre-physical womb or matrix from which we constantly in-form our own physical bodies. It is the inner body with which we relate directly to other beings: feeling close or distant to them irrespective of physical proximity, touching or feeling touched by them independently of physical contact, moving and being moved by them independently of physical movement. When we speak of someone as ‘thick-skinned’ or ‘warm-hearted’ we are not merely using bodily metaphors to describe disembodied psychological traits. We are describing features of their own organism. Organs and organic functions such as respiration and metabolism are a physical embodiment of the human organism and organismic functions. The psychic respiration, digestion, metabolisation and incorporation of the human being’s lived experience. The translation of organising patterns of significance into motor and mental patterns, movement and speech. The translation of feeling tone into muscle and nerve tone, of intentionality into patterns of muscular tensioning. The translation of organismic awareness or felt sense in dream symbols and bodily symptoms, in verbal communication and body language, speech and gesture, facial expression and bodily comportments. The organismic function of both mind and body, thought and perception, words and body language, dream symbols and bodily symptoms, is to give form to felt sense. The phrase to ‘get something off one’s chest’ is a linguistic metaphor which uses the word ‘chest’ as a symbol. Developing a cough may be a bodily symptom of the desire to ‘get something off one’s chest’ which uses the chest itself as a symbol. Language uses bodily states and actions as metaphorical symbols. The body takes verbal metaphors literally – using symptoms as literal symbols. What is expressed metaphorically in the verbal symbols is literally embodied in the symptoms. Both speech and body language, verbal symbols and bodily symptoms serve as a form of organismic speech – as organismic metaphors of psychic states or self-states. Dreaming is a primary function of the human organism, a loosening of the organismic boundaries between the inner and outer fields of our phenomenal body or body of awareness. The experienced body of the dreamer is a direct experience of their own organism as a dynamic boundary between self-experience and our experience of others and otherness. Dreaming is a direct experience of the phenomenal body as a dynamic field of awareness which gives immediate form to the dreamer’s own felt sense of self and felt relation to others. Dreaming is the emergence of form from feeling tone. Dream figures, events and environments are formed expressions of our resonance with the diverse selves and self-states, feeling tones and phantom bodies which make up the human organism. Dreaming is one of three primary functions of the organism. The others are bodying and minding. Both dream symbols and bodily symptoms give form to organismic awareness – to felt sense or resonance. Both dreams and bodily states give form to self-states – to our felt sense of self. Dream symbols often express a bodily sense of dis-ease. Conversely, dis-ease symptoms are body dreams. Dreaming is the organismic translation of felt sense into dream events and symbols. Bodying is the organismic translation of felt sense into bodily events and symbols. The organism is a somatic subconscious – dreaming our bodies and bodying our dreams. The environment or outer field of awareness of any organism is a manifestation of its own organising perceptual patterns and of its resonance with the immanent organising patterns or morphic fields of the objects and organisms it encounters. Different organisms perceive their environment and perceive each other in different ways. The phenomenal form of an organism is itself a patterned perceptual Gestalt – formed within the field of awareness of another organism. Our individual human perception of plants, animals and other people’s bodies is a phenomenal manifestation of our own resonance with their immanent organising patterns or morphic fields, shaped by our own organising perceptual patterns. The fact that people seem to share the same ‘objective’ physical environment or ‘world’ is a result both of mutual resonance and of shared, isomorphic patterns of perception. Our own bodies are a materialisation of the formative, organising patterns or morphic fields of our own organism. Our perception of another person’s physical body is a materialised body image of their organism formed and manifested within our own field of awareness. It gives form to our own resonance with the organising patterns or morphic fields that make up their organism. Every act of perception alters both perceiver and perceived. The materialised body images we form of other people affect both our own organism and theirs through morphic resonance. Just as we are affected by the mental image that others have of us, so is our organism affected by other people’s materialised body images of them – with resulting effects on our bodies. The organism bears the resonant trace or imprint of every bodily form it has taken, and every bodily form it has encountered – or rather manifested and materialised – in its field of awareness. The organism is a mimetic and polymorphic body – it tends naturally to take the form of other bodies in its environment. That is because its perception of those bodies is a result of resonance with their formative patterns or morphic fields. The materialised bodily form of an organism is stabilised only through continuous self-resonance with its own morphic fields. The human organism is also a protean body – mimetic and polymorphic. It bears within it the phantom bodies of other people with whom the individual has had close or prolonged contact (parents for example). So-called ‘phantom limbs’ (limbs experienced after physical amputation) are part of the human organism – a phantom body. The human organism is both a phantom body and a body of phantoms – bearing the resonant imprint or phantom form of all other bodies it has manifested in its perceptual field. Disease symptoms may be a somatic expression of phantom bodies – not inherited genetically but created through strong organismic or ‘morphic’ resonance with the bodies of sick parents, relatives or loved ones. The organism is a bodily or somatic subconscious. It is also a subconscious or phantom body containing subconscious or phantom bodies. The spread of diseases amongst both humans and animals can embody not only individual dis-ease but a general malaise in the group, communicated or spread through morphic resonance. Epidemics amongst animals can embody not only their own malaise (a result primarily of human maltreatment) but a subconscious social malaise amongst human beings themselves. The Holocaust was the expression of a general social malaise which was interpreted and ‘treated’ in medical terms – the Jews and others being seen as a malignant ‘foreign body’ infecting the body of the Volk. The mass murder and incineration of both diseased and healthy farm animals during epidemics is also a result of the medicalisation of subconscious human and animal malaise. Marx’s concept of a human science of nature. The onto-biology of Martin Heidegger. The Gestalt theoretic of Max Wertheimer. The existential neurology of Kurt Goldstein. The psychoanalytic insights of Donald Winnicott. The organismic biology of Jakob von Üxküll. Eugene Gendlin’s psychology of felt sense. Rupert Sheldrake’s theory of morphic resonance. Kenneth Shapiro’s phenomenology of virtual movement. The aspect psychology of Jane Roberts. Julian Jayne’s account of psychic evolution. The anthroposophical teachings of Rudolf Steiner. In his last public presentation of psychoanalysis in 1940, Freud, then 82 years old announced what he called “the second fundamental hypothesis of psychoanalysis”. Instead of seeing somatic phenomena as concomitant to psychic states he came to the conclusion that “the supposedly somatic concomitant phenomena” are “what is truly psychical”. Before, he had derived the psychic unconscious from somatic or physiological functions and processes. Now he redefined the unconscious as a somatic unconscious or soma-psyche. In effect, he redefined psychoanalysis as somatopsychology or ‘somatoanalysis’ rather than analysis of the conscious and unconscious ‘mind’.